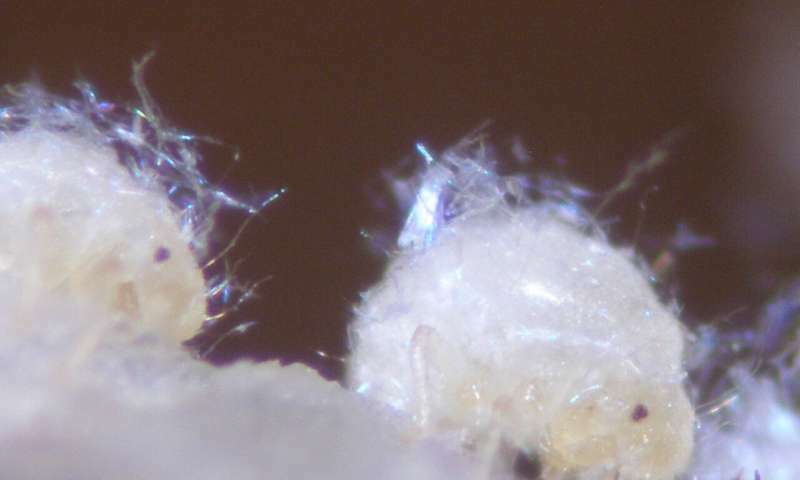 Soldier nymphs of Nipponaphis monzeni repairing a gall breach by discharging coagulating body fluid. Credit: Mayako Kutsukake. A team of researchers affiliated with several institutions in Japan has found that soldier aphids willingly sacrifice their own lives when they attempt to protect their colony from predators. In their paper published in Proceedings of the National Academy of Sciences, the group outlines their study of the small insects and what they found. Aphids are small insects that survive by sucking the sap from plants. They are notorious for rapid reproduction, and they produce live young. One species, Nipponaphis monzeni, creates what are known as galls on the leaves of witch hazel plants. Galls are dome-shaped constructs that serve as both home and protection, somewhat reminiscent of an igloo. The aphids reside in their gall sucking away at plant sap until predators arrive, typically moth or butterfly larvae, which break the walls of the gall. The researchers with this new effort studied what happens next. They report that soldier aphids exit the gall and set about repelling the predator by stinging it and also repairing the damage done to the gall wall using their own bodily fluids. The researchers refer to them as suicide bombers because their actions typically result in their own deaths. Soldier nymphs of Nipponaphis monzeni repairing the gall. Credit: Mayako Kutsukake. By studying the insects and their body fluids, the researchers found that they have cavities that typically contain certain types of lipids that the aphid can use when injured to promote scarring, which halts the loss of body fluids. They also found other body cavities that store proteins and amino acids, both of which promote clotting. 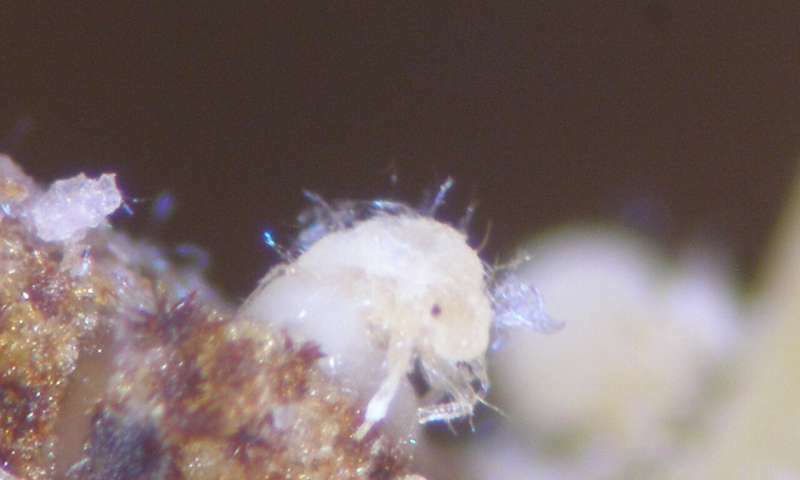 When attempting to repair a gall wall, an aphid expels the fluids from its body and then uses its legs to stir up the mixture, promoting coagulation. 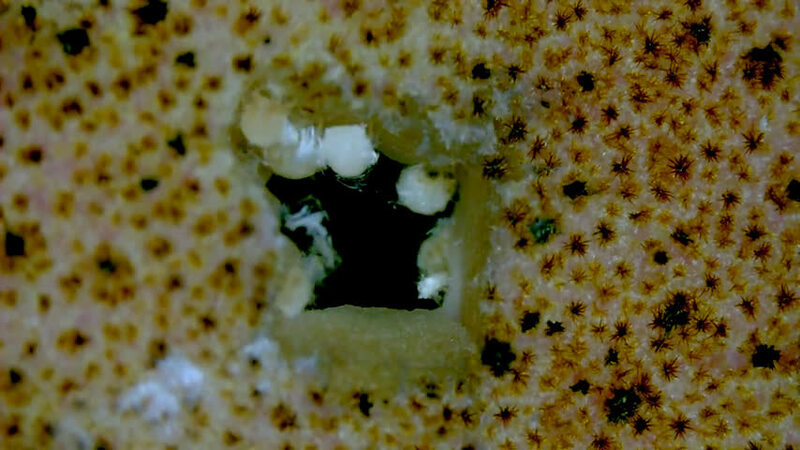 The researchers report that some of the soldiers became stuck to the gall wall and others found themselves stranded outside of the gall, both of which result in a slow death. 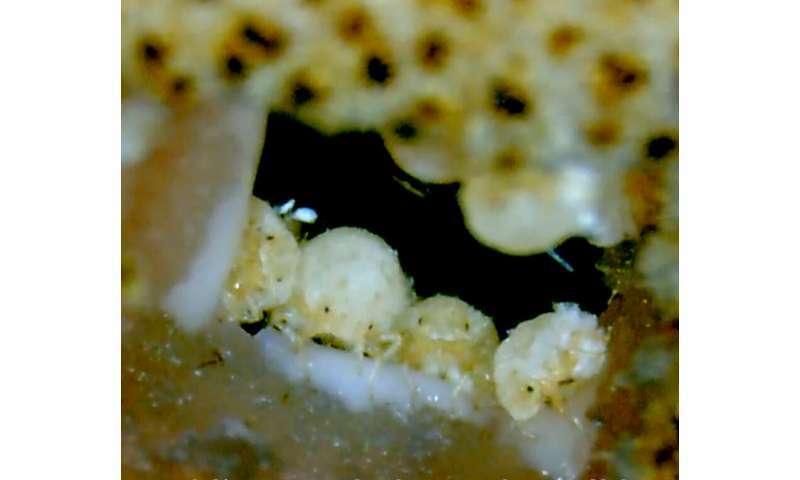 The researchers suggest that aphids that make it back into the gall before the hole is closed are unlikely to survive because of massive loss of body fluid. They note also that over time, the plug made by the soldier aphids grows hard and darkened, once again serving as protection for the colony. Insects' manipulation of plant phenotype that realized their ultimate "su-gomori life (reclusive life in the nest)"